You cannot add "MAX-DROL" to the cart because the product is out of stock. 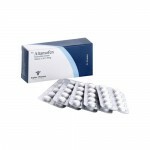 Categories: Methenolone acetate (Primobolan), Oral. Tag: Alpha Pharma. 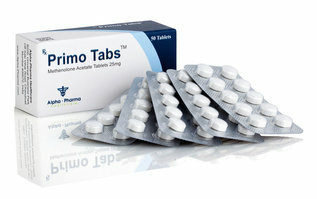 PRIMO TABS (Methenolone acetate) represents a moderate anabolic steroid with low androgenic proprieties. It is well known steroid by bodybuilders and athletes as Primobolan. 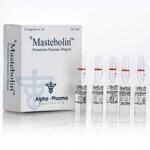 Methenolone is available as both oral and injectable supplement, the difference is attached esters. 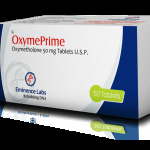 PRIMO TABS Methenolone acetate is an oral form of this steroid. By taking methenolone acetate bodybuilders will see results after some weeks of training, because it is long acting substance. But instead of this fact the muscles tissue Obtained will be qualitative. Another important thing to know about methenolone acetate is that it is non-17-alpha-alkylated as most of oral steroids. That’s mean that during the first pass in the liver, a large part of the substance is destroyed and thus deactivated leaving only a much smaller quantity of the substance to get into the blood. It is not Considered to be toxic on liver. PRIMO TABS Methenolone acetate has no property to convert to estrogen. This thing means that side effects of drought and water retention and gyno will not occur. This steroid is known in bodybuilding as an Effectively fat burner. Often sportsmen prefer to include it in Their cutting cycles. 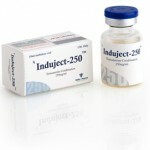 Effectively An daily dose for male bodybuilders / athletes is 50 mgs to 100 mgs and 25-50 for female. Possible side effects are: oily skin, acne and facial / body hair growth. Appears in methenolone acetate supplement produced by pharmaceutical companies Such as: PRIMO TABS (Alpha Pharma), Primobolan (Genesis), Prem (SB Laboratories).